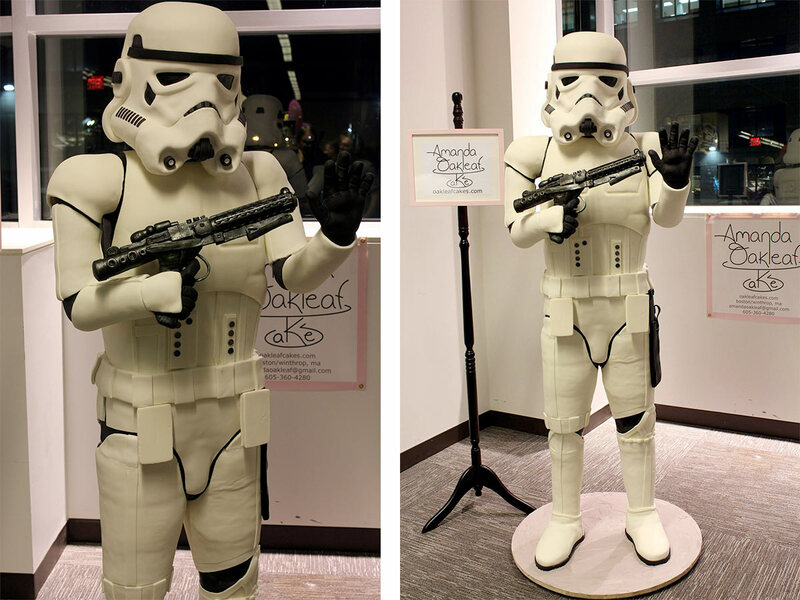 Star Wars inspired Stormtrooper cake made by Amanda Oakleaf. 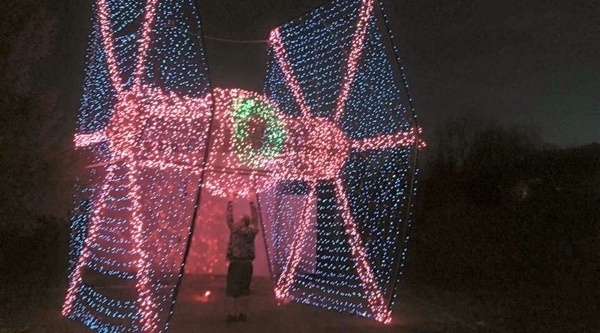 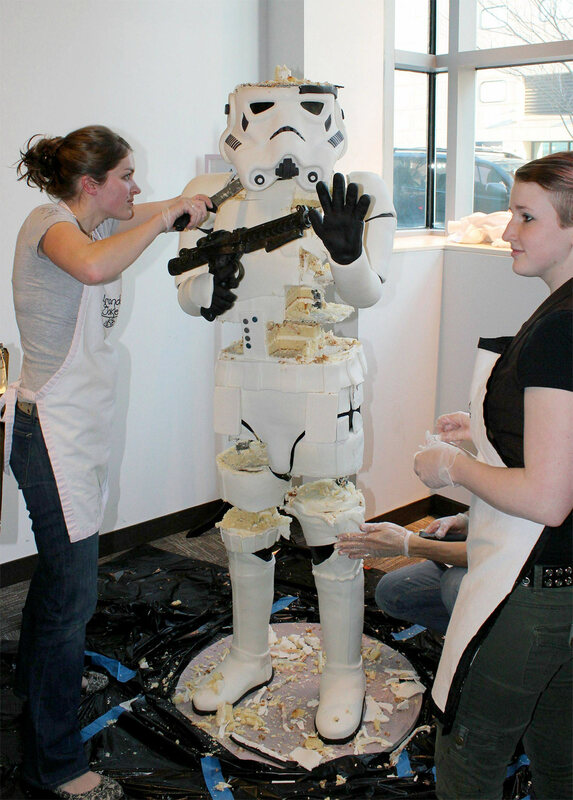 Stormtrooper cake was 6 feet tall and weighed 300 pounds. 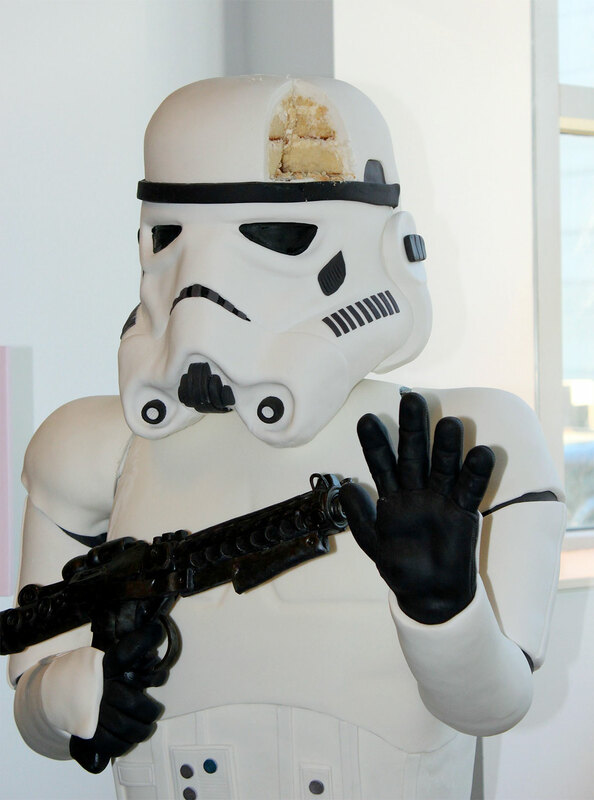 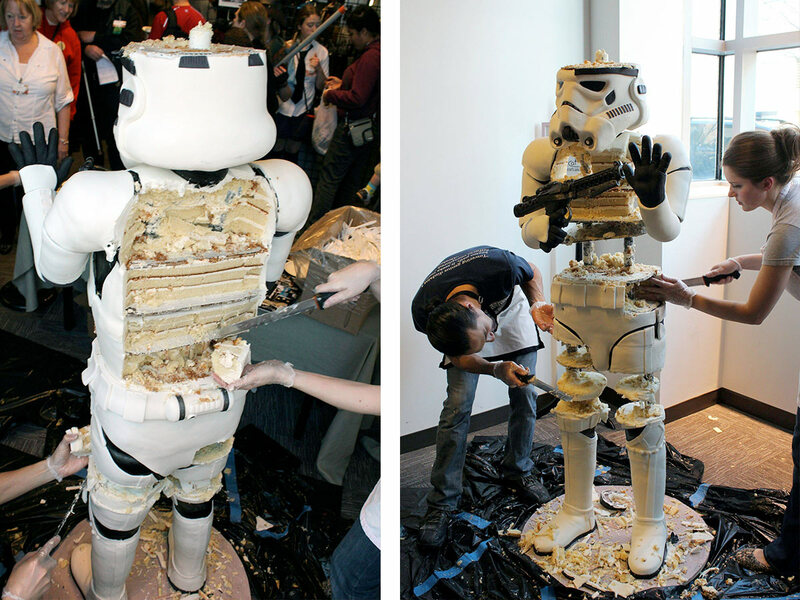 Stormtrooper cake fed 600 hungry Star Wars fans at the Arisia Sci-Fi Convention in Boston, Massachusetts.